I got my bow hunting "out of the way" on Thursday, so I fished the South Fork of the Rivanna in my kayak today. It was about a 6 hour float, and fishing was pretty slow. I couldn't find a solid pattern, I fished jigs, Texas rigged plastics, weightless plastics, spinnerbaits, and all other sorts of baits, and each one of them caught an equal amount of fish. I would go an hour without a hit and then land 5 in 5 casts, and there was nothing special about these spots, the fishing was just incredibly sporadic. My favorite fish of the day by far was a smallmouth of about 3 pounds that slammed my spinnerbait no more than 15 feet away from the boat. It was my biggest fish of the day, and I also caught 2 other very nice smallmouth weighing about 2 pounds each. The largemouth outnumbered the smallmouth today (10-8) but the smallmouth definitely showed more size. I only caught one largemouth worth mentioning, a fat fish of about 2&1/2lbs that hit a Texas rigged pit boss. 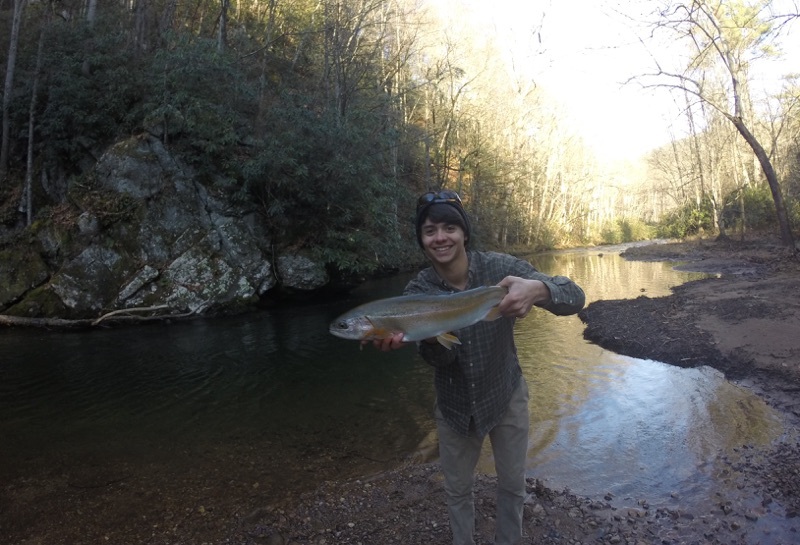 The fish are definitely starting to migrate downstream to the James and the lower Rivanna, because after the confluence of the north and south forks (south fork is a tailwater that stays warmer and holds fish year-round), I barely saw any life. I can only recall seeing one school of minnows today, as apposed to the thousands of minnows I saw back in September. Keep on checking in, I have slowed down, but I am still here! Thanks for reading!